The work of a lawyer involves a lot of dictating. Letters and submissions which have to be typed out later. Combining a quality Philips professional dictation recorder with the Philips SpeechLive cloud-based service allows you to dictate from anywhere and send your dictations to a designated recipient, maximizing your daily productivity and efficiency. Antwerp lawyers Dhaenens-Vermeulen are no longer irritated by traffic jams thanks to the Philips digital dictation solutions. Their main activity concerns dispute settlements in all its possible legal forms, ranging from real estate and insurance law, over family law and criminal law, to commercial law. The firm has five lawyers and two administrative employees. 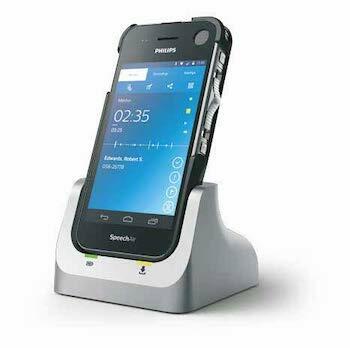 Since end of 2016 both lawyers have frequently been using the SpeechAir, the smart voice recorder by Philips. D&V Advocaten, like most worked with tapes. A system that worked… until something went wrong. Mr. Dhaenens: “There would be small dramas. A cassette could be accidentally erased or lost. The tape was not be correctly fitted into the device and only half of what was said would be recorded. This would mainly bother the administrative staff, who had to decipher and type everything. Mr. Vermeulen agrees with his colleague: “The old system involved double work and was really becoming outdated. There were problems with the operating system and headphones failed to function on several occasions. Besides, the tape literally had to be taken to the office, otherwise nothing could be typed out. That is where the search for a new system started. The requirements it had to meet were: it had to be solid and reliable, as well as easy to use. In their search both men soon discovered Philips. The law firm’s computer network allows us to log in from different locations in the system and work on dossiers. Thanks to SpeechAir the lawyers can now also send their audio recordings to their administrative staff. In addition, the dictated texts can be classified according to priority. Contrary to the old system with tapes, the recording quality is excellent. And that’s good news for the typist, who no longer needs to decipher words that are difficult to understand. The SpeechAir allows us to work from home. It happens to both lawyers frequently. In the morning, traffic to the office is always in a jam. Instead of moving slowly in the car, both lawyers choose to work from home. They can log in real-time in the programs at the office. They can see what comes in and what goes out. They can dictate their texts and send them; and once the congestion is over, they leave for the office. Traffic jams are no longer a loss of time. Besides, thanks to SpeechLive and the administrative staff, the dictated text will be ready and typed by the time they arrive at the office. “The same goes when we are in court. When we leave a hearing, everything that has been said is still at the front of our mind. Because we have our SpeechAir with us, we can set to work immediately. We dictate, send the voice file to the office and by the time we arrive the entire dossier is updated. Which saves us a whole lot of time”, says Mr. Vermeulen. 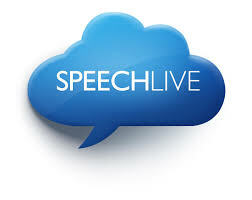 How can SpeechLive help you? The cloud-based solution saves busy professionals’ time and resources by allowing them to be more flexible and turn their voice into written documents quicker than ever before. The latest version of the solution comes with improved usability, new features and enhanced stability for an even more efficient dictation workflow. We now have the Unlimited Advanced Business package allowing for unlimited speech recognition minutes per user per month which means you can get all your dictation converted to written documents easily and efficiently. Try out Philips SpeechLive for yourself with a 30-day free trial. Go to www.speechgo.co.za and sign up today!